It’s tradeshow season, which means every sector of technology produces its own acronym-laden superbowl that tens of thousands of vendors, integrators and buyers flock to. For consumer electronics, it’s CES. For cybersecurity, it’s RSA. And for health IT, it’s this week’s HIMSS. Unlike other tech sectors, the Southeastern United States arguably has the strongest presence at HIMSS. Why? Several of the nation’s top healthcare hubs are located in the South. In fact, with more than 225 health tech companies employing approximately 30,000 people, metro Atlanta holds the title of the nation’s health IT capital. 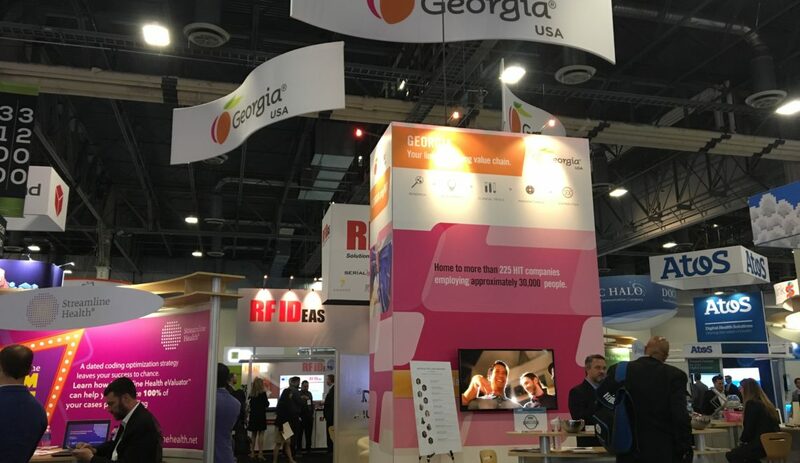 That’s why each year at HIMSS, the State of Georgia opens a ‘Pavilion’ where startup and growth-stage companies exhibit – demonstrating the breadth and depth of Georgia’s health IT ecosystem. Then there’s Tennessee, which ranks second in the nation in exports of medical equipment and supplies. In addition to medtech, Tennessee has a strong network of payers, providers and academia, like Vanderbilt University School of Medicine. This ecosystem has given birth to dozens of healthcare software companies like Nashville’s Change Healthcare and Stratasan. Right down I-65, Birmingham’s UAB Medical has fueled a vibrant biotech and life sciences ecosystem. Many of these companies have launched from the city’s Innovation Depot, like TheraNest and XpertDox. Moving to the Gulf Coast region, Louisiana’s biotech scene is anchored by Tulane University School of Medicine, the New Orleans BioInnovation Center and Pennington Biomedical Research Center. And in the Sunshine State, Florida-based health IT vendors enjoy plenty of buyers in their backyard. Providers such as Orlando Regional Medical Center and Tampa Regional Medical Center serve large populations, and Healthgrades even named West Palm Beach as one of the nation’s top 10 cities for healthcare. Pearce Fleming, President of Staywell (Charleston) – Pearce leads all functions of operations, implementation, client services and product management across all of Staywell’s solutions and markets. Staywell, a health empowerment company, was showcasing some of its new VR and AI-based solutions at HIMSS. Lucienne Ide, MD PhD, Founder of Rimidi (Atlanta) – A medical scientist and physician by trade, Luci founded Rimidi in 2011, and today the company leads in the personalized management of chronic health conditions. She was a featured speaker in the ‘Georgia Pavilion’ at HIMSS (watch). Rupen Patel, CEO of Influence Health (Birmingham) – Rupen previously served as CTO and now CEO for Influence Health, the healthcare industry’s leading consumer experience solution provider. He took the stage at HIMSS to discuss the role of today’s hospital CMO (watch). Michele Perry, CEO of Relatient (Nashville) – Michele took the helm of Relatient, a leading SaaS company focused on optimizing patient engagement, in late 2017. The Relatient team was at HIMSS demoing its end-to-end healthcare messaging solution and previewing its new patient billing solution. Scott Zimmerman, CEO of Greenway Health (Tampa) – For more than 20 years, Scott Zimmerman has helped healthcare and technology organizations thrive. Today he leads Greenway Health, which launched its new podcast, Putting Possibility into Practice at HIMSS (listen). P.S. Shameless plug during this tradeshow season…If you haven’t registered for DIG SOUTH in Charleston this April. Fix that right now.